A score of 40-9 gives the impression of an emphatic England victory over Italy in the yet there remains much to work on for Eddie Jones’ men. 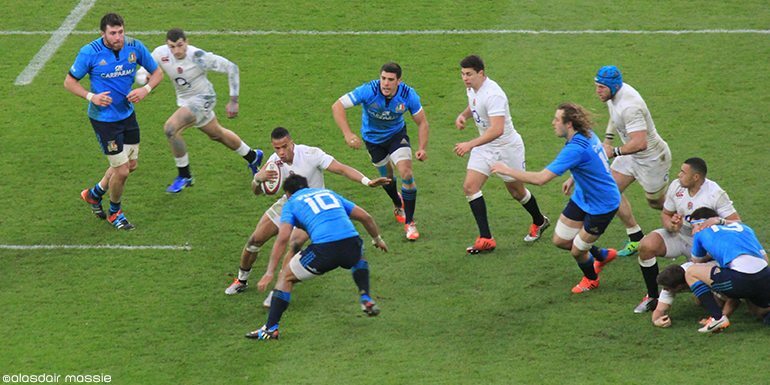 Very much in footballing parlance a game of two halves in the RBS Six Nations clash. At half-time England were ahead just 11-9 in what commentator and former England international David Flatman described as “a pretty turgid first 40”. Indeed the Italians might have been ahead had they landed a very kickable penalty towards the end of the first period. Flatman’s colleague on the microphone Martin Bayfield described the game as a Roman candle – fizzled, spluttered and eventually burst into life. England were sloppy, inconsistent and lacked cohesion. The lineout was poor and they were giving away far too many penalties. But then around the 50th minute Italy gifted an easy interception to Jonathan Joseph. Disrupted by injuries, and reeling from English pressure, the Italians simply caved in. Dreadfully disappointing for the home fans given how hard their side had fought to stay in the game. A classy Joseph notched two more tries and Owen Farrell went in under the posts, all adding to George Ford’s first half score in the corner. 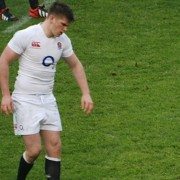 2004 – Joseph is the 1st player to record an away hat-trick in the Six Nations for England since 2004 (Robinson, v Italy). Treble. Before adding, “We wanted to be two from two and we’re two from two. We did some good things in the second half. In the first half we allowed Italy into the game. Italy had the consolation of three penalties through Carlo Canna. Farrell kicked two penalties, Ford got one, with two of the tries converted. England finished the game with the luxury of blooding Maro Itoje, Paul Hill and Jack Clifford off the bench and all showed great promise. And, despite not having a natural No 7, they managed plenty of turnovers. For sure they are a decent team, but, just like the narrow victory over Scotland, it is hard to see the display prompting fear in the hearts of New Zealanders and South Africans. And now, having beaten the two traditionally weakest nations, England must face the sterner test of Wales in a fortnight followed by Ireland two weeks further on. But with their next two matches at Twickenham if England can step it up they have a real chance of winning both. That would give them a Triple Crown and a Grand Slam would then be on the cards. With so many teams rebuilding, as of course are England, this Six Nations is open for whoever wants it badly enough. Have England got what it takes? Can they improve sufficiently? It is going to be fascinating to see how they go. England now face two massive games at Twickenham which could decide the fate of the Six Nations title. On Saturday 27th February, England face Ireland and look to secure their third straight win under Eddie Jones. Then on Saturday 12th March, England welcome arch-rivals Wales to HQ for a mouth-watering encounter. We have very limited availability on our official Twickenham Six Nations hospitality packages, for more information please click here.